New GM Brian Gutekunst will have some difficult decisions to make in regard to four of the team’s longest-tenured and most highly-decorated players. Bryan Bulaga, Randall Cobb, Clay Matthews and Jordy Nelson will count $45 million against the salary cap in 2018. And while they are still capable players, all of them are susceptible to being released due to age, injuries and/or declining performance. 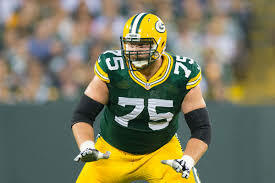 BRYAN BULAGA – His play declined from a year ago even before he suffered yet another serious injury (torn ACL) in November. Moving on from the former Iowa star and his $8.1 million cap number would be a much easier call if young Jason Spriggs looked even semi-capable of replacing him at right tackle. But with no obvious heir apparent on the roster, it might make sense to hold onto the 28-year-old at least through the summer. The Packers have enough holes to fill in the next few months without creating one more. RANDALL COBB – His cap number is $12.7M in 2018, and his average per catch in the past three seasons is 10.3. Those numbers simply don’t jibe. He’s only 27, but watching him get run down in the open field by linebacker Nick Kwiatkoski was eye-opening. That said, the former Kentucky star still has value – just not $8.6M worth of value. Cut his base salary in half and welcome him back. If he balks, send him on his way. There are plenty of wide receivers out there who can catch four passes for 40 yards a game. 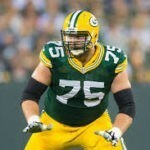 CLAY MATTHEWS – This might be the toughest call for Gutekunst. On one hand, the former All-Pro is still a good to a very good linebacker. In fact, he’s coming off his best season in years. On the other hand, his cap hit of $15.3M is too high. But unlike Cobb, replacing the 31-year-old wouldn’t be easy. The best option is to probably do nothing and hope he takes to defensive coordinator Mike Pettine’s new scheme. The worst option would be to add years to his deal – which expires after next season – in an effort to reduce the cap hit. 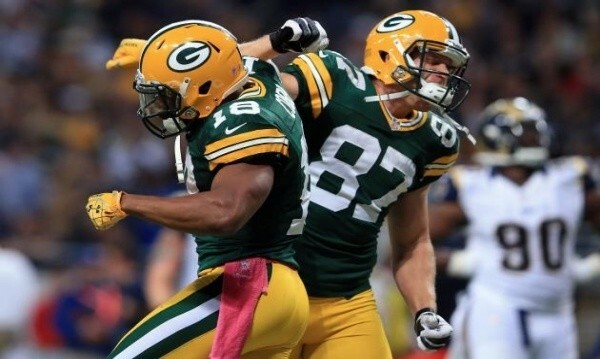 JORDY NELSON – This should be the easiest call for Gutekunst. The 32-year-old really slowed down this past season, and he isn’t going to get any faster between now and the start of training camp. Sure he caught 6 TDs in the first five games, but not counting the “free” play against Seattle, they averaged 5 yards. And while a TD is a TD, you don’t pay $9M to a player who now resembles Bubba Franks more than Donald Driver. It’s time to send him on his way and start the countdown to his induction into the Packers Hall of Fame. There’s one other tough call facing Gutekunst, and that’s what to do with a safety who’ll hit the open market in March. MORGAN BURNETT – This decision was simpler four months ago – before Josh Jones showed little, Kentrell Brice proved to be a JAG and Ha Ha Clinton-Dix regressed. Despite all this, it still probably makes the most sense to let the 29-year-old go. He’s slowing down and coming off a season in which his stat line (0 sacks and 0 INTs) would only be impressive if he were a pitcher. And while it wouldn’t be the worst thing to bring him back on a team friendly deal, it’s better to get rid of a player a year too early than a year too late. The Packers are currently about $23M under the salary cap. That number would swell to over $40M by releasing Nelson, restructuring or releasing Cobb and winning a $4.2M grievance against former tight end Martellus Bennett. That would give Gutekunst plenty of room to sign some legitimate unrestricted free agents – something he seems willing to do based on his comments at last week’s introductory press conference.